This is from an email sent to me by a vet. I seldom post things of this sort not (not documented), but the pictures are hard to dispute. 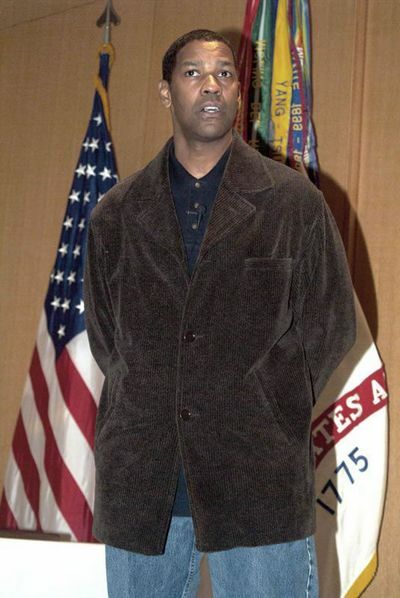 Denzel Washington grew up about 20 minutes from my home in Mount Vernon, NY and this is consistent with what I know about him. 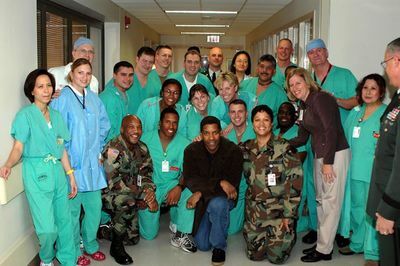 Don’t know whether you heard about this but Denzel Washington and his family visited the troups at Brooks Army Medical Center, in San Antonio, Texas (BAMC) the other day. This is where soldiers that have been evacuated from Germany come to be hospitalized in the States, especially burn victims. 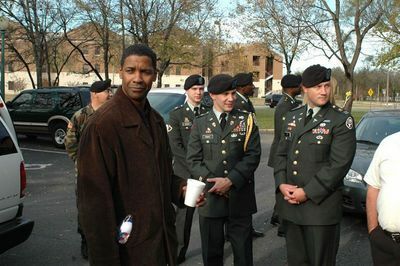 They have buildings there called Fisher Houses. 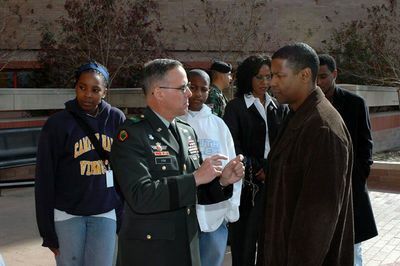 The Fisher House is a hotel where soldiers’ families can stay, for little or no charge, while their soldier is staying in the hospital. BAMC has quite a few of these houses on base but as you can imagine, they are almost completely filled most of the time. 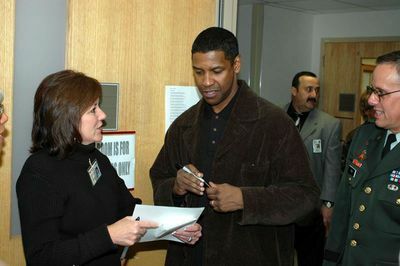 While Denzel Washington was visiting BAMC, they gave him a tour of one of the Fisher Houses. He asked how much one of them would cost to build. He took his check book out and wrote a check for the full amount right there on the spot. 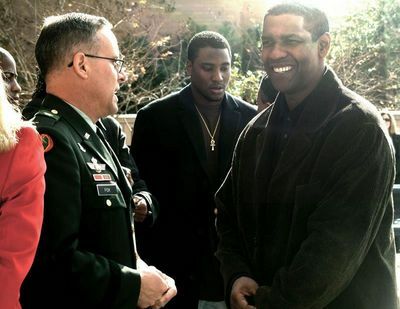 The soldiers overseas were amazed to hear this story and want to get the word out to the American public, because it warmed their hearts to hear it.